A truck is loaded at a harvesting site on Prentiss and Carlisle-managed lands in Maine in this undated photo. AUGUSTA, Maine — Hoping to end a month-long battle with some northern Maine loggers, Gov. Paul LePage on Tuesday offered them a chance to meet with him in person Friday in Presque Isle. The governor’s scheduler, Jeanne St. Pierre, made the offer to Michael Dunn, a staffer for state Sen. Troy Jackson, D-Allagash. Jackson, a logger and advocate for other Northern Maine loggers, has been trying to meet with the governor for more than a month after LePage made comments suggesting mill owners needed to hire Canadian loggers because there weren’t enough Mainers to do the work. According to LePage’s spokeswoman, Adrienne Bennett, LePage said he would give loggers a face-to-face meeting at 6:15 a.m. Friday, before a couple of publicly scheduled events. The offer was rejected on Wednesday. Jackson could not immediately be reached for comment Wednesday but when he finished work shortly before 8 p.m., several people had left messages for him about the governor’s offer. 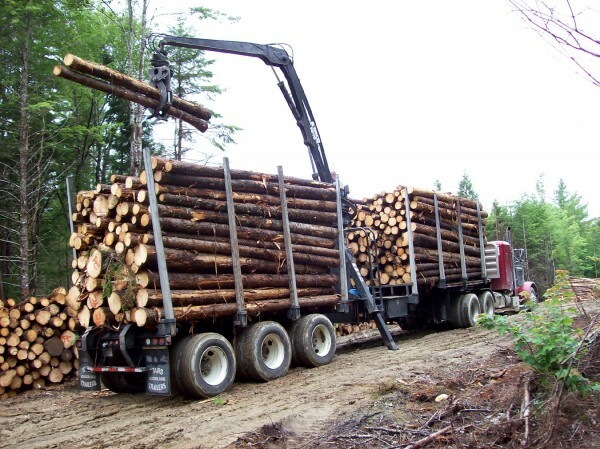 Although Jackson and other members of the Northern Maine Logging Association reside in Aroostook County, many still live at least two hours from Presque Isle. The governor previously had offered Jackson and other logging association members an hour of his time during Saturday constituent hours in Augusta. Jackson said last week that he couldn’t realistically ask loggers to take an entire Saturday of driving just to meet with the governor for an hour. “I’ve never seen anyone as back-handed as this governor,” he said. The last time LePage visited Aroostook County, he was asked during a public forum whether he would support legislation that helps Maine’s struggling logging industry. LePage answered that he supported Maine loggers but said mill owners have told him they can’t find enough Maine workers to get logs from the forests to the sawmills. Jackson, who did not attend that event, disputed those claims and said he knows many Maine loggers who are desperately looking for work. The issue of Canadian loggers working in Maine existed long before LePage took office and has been a source of tension in northern Maine for some time. Earlier this year, LePage entered that debate by vetoing a bill that would have prohibited the Maine Department of Conservation from employing foreign laborers at state-owned logging sites. Jackson wrote that bill to prevent landowners and contractors from skirting or violating federal and state laws by hiring lower-cost Canadian loggers. In his veto letter to lawmakers, LePage said the bill was potentially unconstitutional. Jackson argued that the governor’s action suggested he supported large corporations that hire Canadian workers. Bennett said Wednesday that Jackson is playing politics with this issue as payback but said the governor is not interested in continuing the debate through the media. Jackson said LePage might as well return to work in Canada because all he’s doing is supporting Canadian loggers over Maine ones. Correction: A previous version of this story stated that Gov. Paul LePage on Wednesday offered a meeting with the loggers. He offered the meeting on Tuesday.